As Rabbi Kaganoff correctly pointed out, the minimum dough from which there is an obligation to separate challah is one made from a quantity of flour of 43.2 eggs in volume. This is a shiur of volume, and not a shiur of weight. Many authorities give a weight as a practical shiur to use. Most of these are machshil es harabbim. Rabbi Kaganoff may have avoided this charge, but nevertheless, he has repeated a serious error. Different types of flour have different densities (weight to volume ratios). Furthermore the same exact flour will weigh different amounts depending on where it is or when it is. What do I mean by this? So doughs made from flours of different types require challah to be taken with very significant differences in the weight of flour used. Now imagine buying a kilo bag of flour in Beersheva in the summer. Measure the volume. It may be 7-8 cups. Take this same lour to B’nei B’rak (where it is much more humid). Let it sit for a couple of months. It will weigh more, because it has absorbed moisture from the atmosphere. The same web site gives significantly different weights for a cup of cake flour and bread flour (100 grams vs 127 grams and slightly different (120 grams) for whole wheat. The commandment of the Torah is based on a volume of flour. Using the weight of flour leads to erroneous results. Therefore, when determining whether to take challah or whether to make a b’rachah, one should only use the volume of flour, and not the weight. The reason that Rabbi kaganoff was not machshil the rabbim the way that many other rabbanim are is that he gave a minimum shiur in cups, and the maximal shiur to make a b’rachah in pounds. The amount in pounds is so much that there is no problem to say a b’rachah on a little more or a little less (or even a lot less). Another issue which was not fully discussed is the minimum amount of flour in a dough to take challah. If there is less than 43.2 eggs volume of flour, there is no obligation to take challah, and nothing was accomplished by taking challah. If one had for example 43.2 eggs volume of flour and made a dough, the dough is obligated in challah. If he did not take challah, then this dough can combine with other doughs, or challah can be taken from this dough to free another dough of its obligation. But once he takes challah from this dough, it will not combine with another dough, and one cannot take challah from it to free another dough of its obligation. If He has a dough which had 43.2 eggs volume of flour, and he took challah, and then he put it in a basket with dough made from say 20 eggs volume of flour, that second dough is not obligated in challah just as before. But suppose he had a dough made from 40 eggs volume of flour (which is not obligated in challah) and he puts it in a basket with another dough with 20 eggs volume of challah. Even though neither one was obligated separately, now that they were in the basket together, they are both obligated. For basket, you can substitute cupboard, aron, box, refrigerator or freezer. This is true even if he had previously taken challah from the the 40 eggs volune dough (or the 20 or both before they came together). That is because the dough was not obligated in challah. For this reason, if one makes a dough with less than 43.2 eggs volume of flour, he should not take challah, even without a b’rachah, because he may not realize, and may put it together with a similar dough, and they are now both obligated in challah. But because he though that he already took challah, he will not do it again, now that it is really required. Most rabbonim or sephorim which tell how much flour should be in a dough to require challah to be taken give two shiurim, one for challah with a b’rachah and one for challah without a b’rachah. 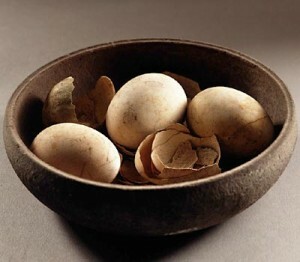 This is because of the machlokes acharonim as to the correct size of an egg for halachic purposes. In my opinion, based on much research, the minimum size to consider for taking challah without a b’rachah is 7 cups. This is based on the Gemorra Eruvin 73b. A certain goy sent to Rebbi a modia (=modius, a Roman measurement and container) of artichokes. This modia contained (according to the Gemorra) 207 eggs volume using eggs of the time of Moshe Rabbeinu and 217 eggs volume of the time of the gift, that is the time of the Mishnah. Using this information, we can determine approximately the size of an egg in the time of Chazal, and the size of an egg in the time of Moshe Rabbeinu. A modius is equal to 1/3 of an amphora. I have seen various volumes suggested for a modius, but the theoretical volume is 1/3 of an amphora, and an amphora cubic Roman foot. A Roman foot equals 29.6 centimeters, so a modius equals ~8.6448 liters. Therefore an egg from the time of Moshe Rabbeinu should be ~ 41.76 cubic centimeters (ml) (~1.412 fluid ounces (US)) and an egg from the time of Chazal should be 39.8377 cubic centimeters (~ 1.347 fluid ounces). 43.2 such eggs of Moshe Rabbeinu would equal just under 7.5 cups, and using eggs from the time of Chazal, just over seven cups. Others suggest that we can not make this calculation, that we don’t really know how much a modia is. Is there another way of checking what were the size of eggs in the time of Chazal? In the year 79, 9 years after the destruction of the Second Temple (may we be zocheh to build it soon), the cities of Pompeii and Herculaneum were covered by lava from a volcanic eruption. Some of the people escaped, and others were trapped and died. 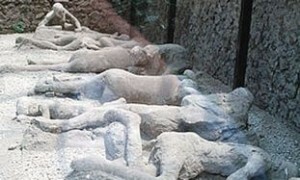 Not only the people were covered with lava, there homes and businesses and possessions were covered. Many of these are now on display. Among the things found were eggs. Harav Yehuda Felix (author of Hachai V’hatsomeach BaTorah and Hachai V’hatsomeach BaMoshnah) went to Pompeii to measure the eggs. He found the volume to be between 41 and 42 cubic centimeters. (I apologize for not having the exact number.) In other words, approximately the same size as the eggs of the Torah as explained from the Gemorra in Eruvin. And even though though they were slightly larger than the eggs of the time of Chazal in Erets Yisroel, the difference is nowhere near as great as the difference that some Rabbonim suggest. On what do I base the suggestion that a b’racha should be made if the dough contains 9 cups of flour? The Rambam states that a r’vi’is (the amount of wine required for Kiddush) is a cup which hold water or wine whose weight is ~17.5 dinars and elsewhere he says 27 dirhem. Rav Chaim Naeh in his sepher Shiurei HaTorah says that he based his shiurim on the Ramabam’s equation of 27 dirhem = rivi’is. Using a Turkish dirhem of 3.2 grams, simple multiplication gave him a rivi’is (=1.5 eggs) of 86.4 cubic centimeters. Rav Chaim Naeh used a Turkish dirhem, not realizing that the Rambam referred to a different Dirhem, much lighter. The Chazon Ish tells us that the dinar is 4.23 grams. Let us round this to 4.25 grams. A riv’is is ~75 cubic centimeters (a drop less) and thus an egg is a drop less than 50 cubic centimeters. Accordingly, 43.2 eggs ~8.9 cups of flour. The acharonim such as the Shach and Taz and Magen Avrohom all have shiurim smaller than this, so that by the time that we have nine cups of flour, we have a shiur challah according to The Gemora, the Rambam, and the major commentaries on the Shulchan Aruch. Whether a dough is obligated in challah depends on the volume of flour which it contains, not the weight. On dough containing less than 7 cups of flour, do not take challah at all. On dough containing 7-7.5 cups of flour and up to 9 cups of flour, take challah without a b’racha. On dough containing 9 cups of flour and up, take challah with a b’racha. 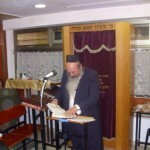 Rabbi Rogin received smicha from Rav Yoseph Dov Soleveitchik 1977 (YU). S’micha to mesader Gittin from Rav Eliezer Cohen of the RCA Beis Din. 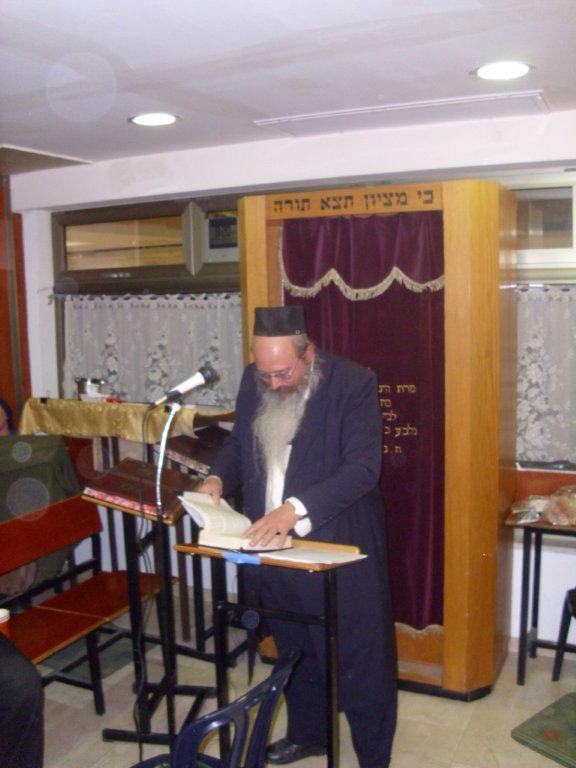 Kabballah for shechittah from Rav Sasson Greidi of the Rabbanute Yerushalayim. Kabballah for saphrus from Rav Shmuel Rubenstein. Kabballah fro Bris Milah from Rav Yoseph Weisberg. Formerly Av Beis Din of the Beis Din of Beverly Hills. Formerly Rosh Yehsiva of Yeshivat Beit Habechira. Best Zeidy award 1997-2011. Posted on January 24, 2011 by JKN Israel. This entry was posted in Kashrus Kuestions. Bookmark the permalink. I skipped all the smichas and applaud on the Best Zaide Award. Most impressive! Rabbi Rogin doubtless has impeccable qualifications as a rov, but he could definitely do with some remedial training in simple derech eretz. Bulgar dough used for kibbeh which is fried, what is the hafroshas challah status? No brocha? Base Halachah on a single archeological finding. Summarily dismiss leading poskim such as R. Chaim Naeh as mistaken. Refer to contemporary rabbanim such as Rabbi Kaganoff with a lack of respect. I hope we don’t see more articles written in this vein. How do you feel this impacts the above article?